Top flight language instructor with extensive international experience and professional мanagement training. 1984 – Moscow State Pedagogical University, Foreign Languages Department, specialized in the teaching of English, French and Russian. 1995 - 1996 – Moscow International Russian School of Business (Plekhanov Institute). London Institute of Commerce diplomas in Management, Marketing, Business Administration, Business English. 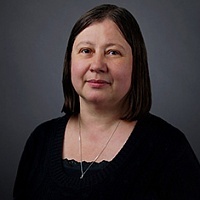 2008 - present – teacher of English, British Higher School of Art & Design, Moscow. 2004 - 2008 – teacher of English and Russian, World Learning, Kazakhstan and Russia. 2001 - 2003 – teacher of English, Exxon Neftegas Limited and Washington Group, Yuzhno-Sakhalinsk, Russia. 2000 - 2001 – teacher of Russian language, history and culture to expatriates. 1999 – English instructor, private English specialized school, Almaty, Kazakhstan. 1997 - 1998 – teacher of English, Exxon Neftegas Ltd (Sakhalin 1 Project) and Sakhalin Energy Investment Company (Sakhalin 2 Project). 1993-1996 – teacher of English, Exxon Moscow Representative office (Exxon Ventures (CIS) Ltd.) and Esso, A.G. (1993 – 1996). 1992 - 1996 – teacher of Russian, DuPont Chemical and CONOCO Petroleum Company. 1990 - 1992 – Russian instructor to American, British and Italian students. Translator, Moscow Technical Fund. 1989 - 1993 – translator, Raisa Gorbachev All Russian Cultural Fund. 1988 - 1989 – English instructor, Social Investment Fund, Intensive English Program. 1984 - 1988 – instructor for English and French in a Moscow secondary school.